Home » Posts » Blogs » Problems with night vision after Laser Eye Surgery? Problems with night vision after Laser Eye Surgery? Possible night vision side effects that sometimes develop after having laser eye surgery include glare and halos which can may make night driving difficult. Bear in mind, it is not uncommon for patients to experience temporary night vision problems after Lasik which occasionally lasts for days or even weeks. This temporary side effect, which results from normal post-operative corneal swelling, is very normal and, in the vast majority of cases, will disappear in time. Corneal Flap Complications: On occasion, the flap produced in LASIK eye surgery does not adhere correctly to the eye after it is put back in place. This can cause light entering the eye to bend irregularly causing night vision disturbance. Residual Refractive Error: This refers to a post-operative uncorrected visual error. Pupil Enlargement: In certain conditions after Lasik, your pupil diameter increases such that it is larger than the actual treatment zone. Because your eye pupil naturally widens in low light, the effects are more noticeable at night. At AVC, we achieve outstanding results and the possibilities of night vision glare and other side effects are substantially reduced because of thorough pre-operative checks and because we use only the latest laser eye surgery technology. We pride ourselves on our excellent standard of patient care and our world renowned surgeon’s surgical expertise consistently delivers outstanding visual outcomes. You really couldn’t be in safer hands and the possibilities of any post-surgical complications are kept to the absolute minimum. 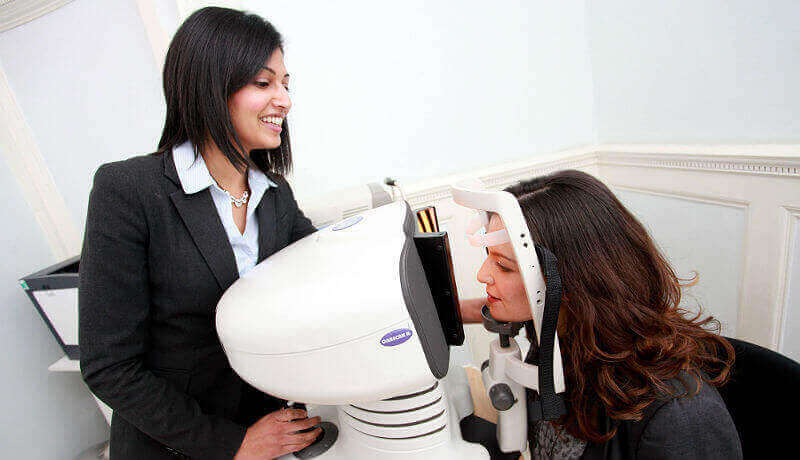 If you would like to find out more about the laser eye surgery at Advanced Vision Care, then why not call AVC TODAY on 0800 652 4878 and request your free information pack or book your consultation to find out how we can help you.